Gran Premio Parco Valentino is the parade that starts from Piazza Vittorio Veneto up to Reggia di Venaria. 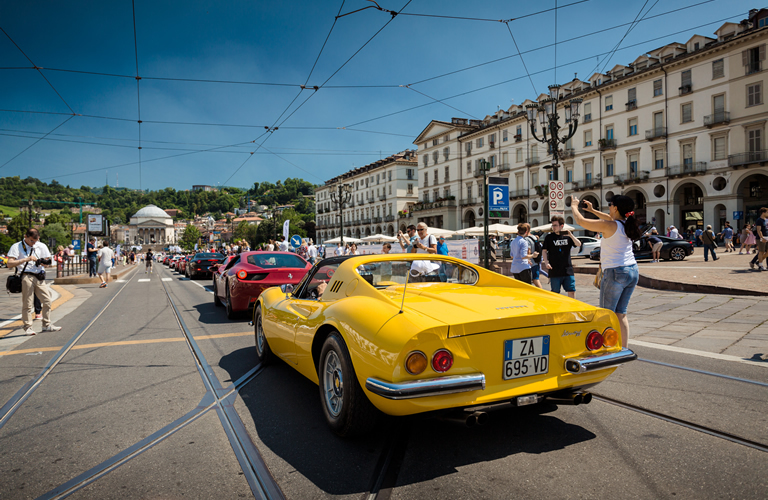 Supercars, prestigious classic cars and clubs will parade through Turin streets among the usual crowd that the event attracts. More than 150 crews will meet in Piazza Vittorio Veneto from 8.30 am on Sunday June 23th for the car display that will catch the attention of car lovers and public. 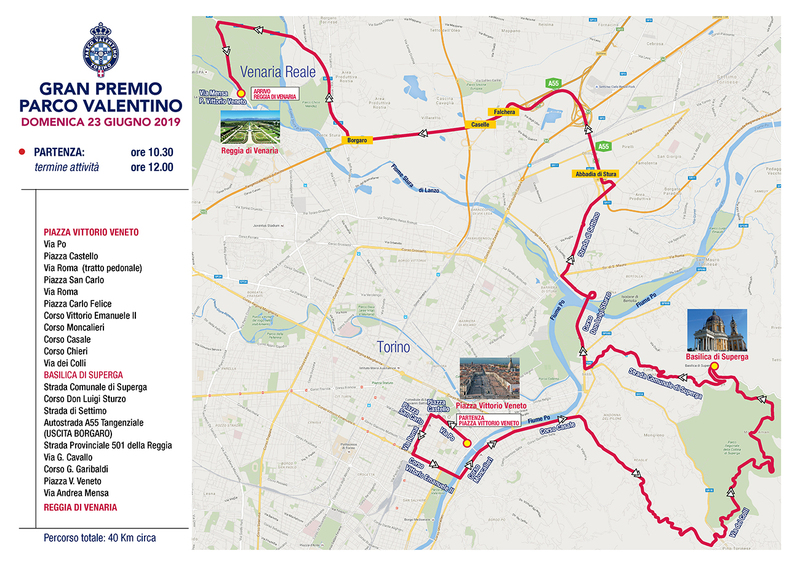 The start of the first vehicles is expected at 10.30 am in a 40km path that will drive through the streets of the city centre: Via Roma, entirely closed to the traffic, the hills near Superga, up to Reggia di Venaria for the lunch. Besides private owners and clubs, the great protagonists of the event will also be the prototypes and one-offs of Design Centres and the vehicles protagonists of Motorsport history. Gran Premio Parco Valentino 2018 registration completed. ​08.30 am - 10.00 am Arrival in Piazza Vittorio Veneto, registrations and car display of the vehicles that will participate in the parade of Gran Premio Parco Valentino. 10.30 am Start of the first car. 11.30 am First arrivals of the vehicles and Car Display at Reggia di Venaria Reale. 1.00 pm Lunch in the prestigious halls of Reggia di Venaria Reale. 3.00 pm Greeting of the authorities and prize-giving ceremony.